Cheap Weekend Fun in Boston for October 22-23, 2016! 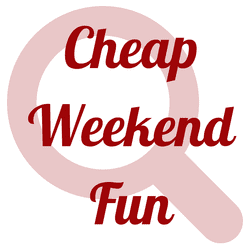 There’s so many fun and inexpensive events this weekend in Boston! As always, please let me know in the comments below if I missed your favorite free event! Head of the Charles Regatta: October 22-23, 2016 on the Charles River. Enjoy this two day rowing competition with over 11,000 athletes and cheer them on! 2016 Fall Pumpkin Float: Sunday, October 23, 2016 at Boston Common Frog Pond from 4:30-6:30pm. Enjoy floating pumpkins, haunted zombie maze, live music, and much more! Free. Halloween Celebration on Castle Island: October 22-23, 2016 at Castle Island. Celebrate Halloween with magicians, storytelling, refreshments and more! Children must be accompanied by an adult. Boston Veg Food Fest: October 22-23, 2016 at the Reggie Lewis Athletic Center. Enjoy this annual festival celebrating the vegetable! Free admission, free parking and free samples! 20th Annual A Cappella Competition: October 22-23, 2016 at Faneuil Hall. Over 30 A Cappella groups will be performing for the winning title at Faneuil Hall this weekend! Free Trip to Spectacle Island: Saturday, October 22, 2016. Spend the day at Spectacle Island with a free cruise with a 10 AM departure. Reservations are required. Family Day at MassArt: Saturday, October 22, 2016 from 11-4pm. Head to MassArt to enjoy art and interactive displays designed by students. Free and open to all.